With the creation of the registry in google docs, how does all feel about us deleting the former journals? Please note that a lot of links on DA journals tend to break the code. 12 deviants said No, we need them still! 11 deviants said I don't care either way. It's Easter time! How does your Faimé celebrate the holiday? Jumping with bunnies? Laying in a field of Spring flowers and canoodling with baby chicks? Searching for treat-filled eggs? Show us how your Faimé celebrates. Perhaps your Faimé enjoys watching the new life that comes with Spring... including all kinds of baby animals. 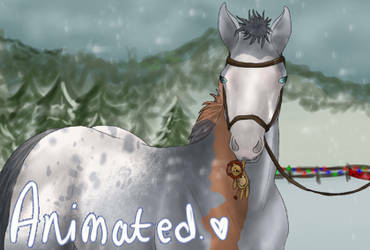 Show how your Faimé interacts with the newborns (can be farm animals, wildlife, or anything else that is in your horse's canon). +10 Faimé Points (FP) to each Faimé horse depicted - on top of base points. Hello and welcome to the Faimé Registry. 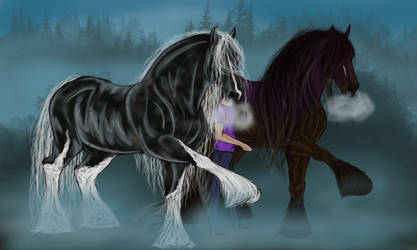 This player-made breed offers a trusty steed for everyone. Whether you’re looking for a miniature show-stopper, an all-round riding pony you’re kids (and yourself) will love, a gracious and powerful warmblood, or a graceful gentle giant, you can all find them here! Below you will find any information you need to be a part of this lovely community. Feel free to browse around, and please ask us your questions if you have any. Edit: This can be ignored. Im going inactive so feel free to remove me from the group. I was just wondering what the approximate turnaround time is for breedings? Is there a way to rename our horses? 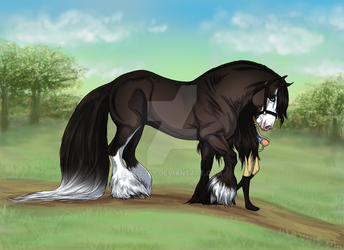 and is it possible to update a foal design? Not change the design at all, but clean up a messy one and potentially change the lineart? Lineart must remain one of the two acceptable ones, colouring is allowed, but you may not alter it (like changing ears, eyes, etc). To change a name please note the group. Any plans on some imports soon? Hello, we currently have DIY imports open as you have seen, we might have some come up for Thanksgiving or Christmas.